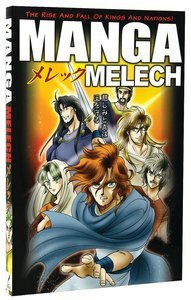 About "Melech: The Rise and Fall of Kings and Nations (#04 in Manga Books For Teens Series)"
Customer Reviews For "Melech: The Rise and Fall of Kings and Nations (#04 in Manga Books For Teens Series)"
This is an Excellent comic Bible with actual stories of the Kings and Heroes in the Bible. My son who is 8 loves this book. He reads it at school and is certainly drawn in by the Bible's Heroes.